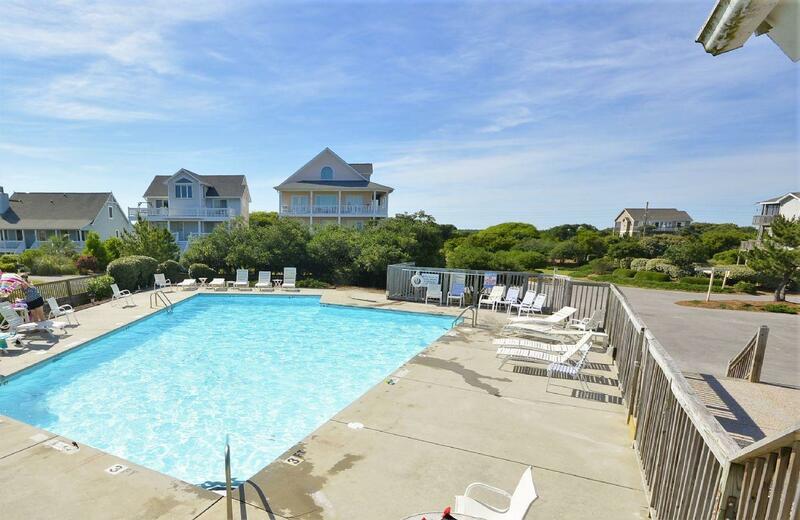 Located in The Village of Stump Sound community, “Ocean lookout” provides optimal sound views from its decks, community beach and pool access and so much more! 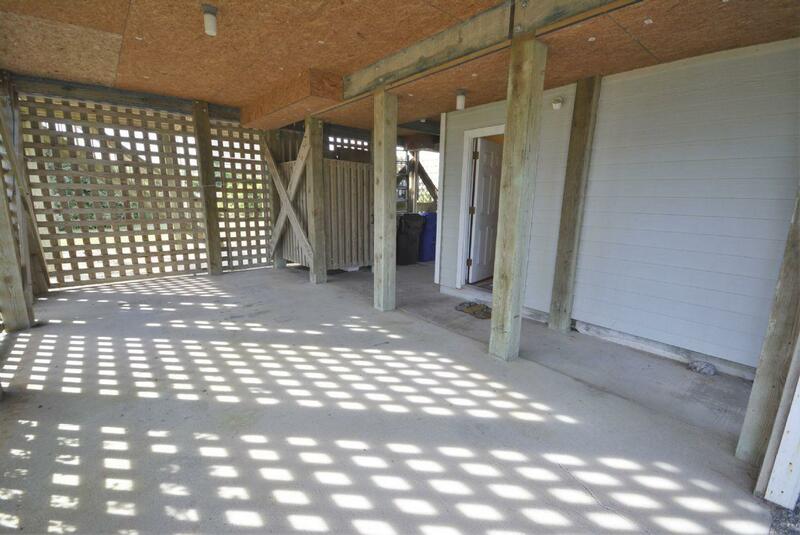 After parking in either of the two completely covered carports you will enter the house via the front door located on the ocean side of the house. Located in the middle of the lower level is a stair case that goes from the carport to the loft of the home. 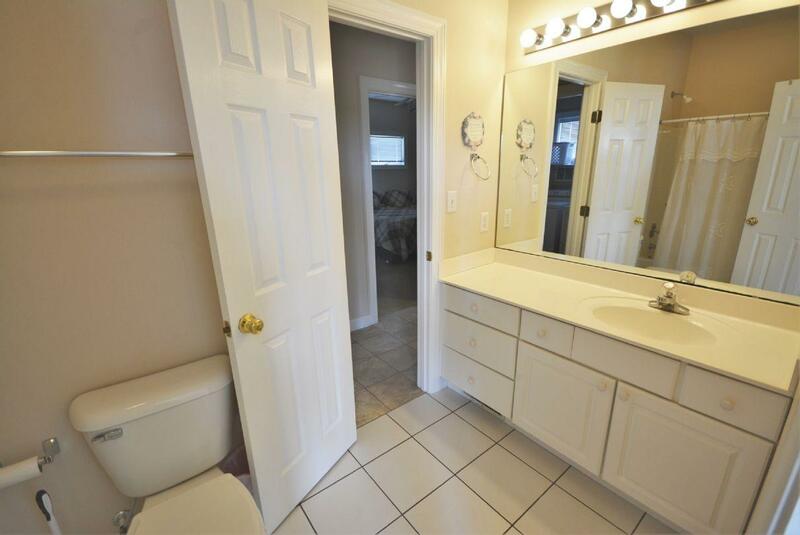 Directly to the left of the front door and stairs is the first of the four bedrooms that this home has to offer. 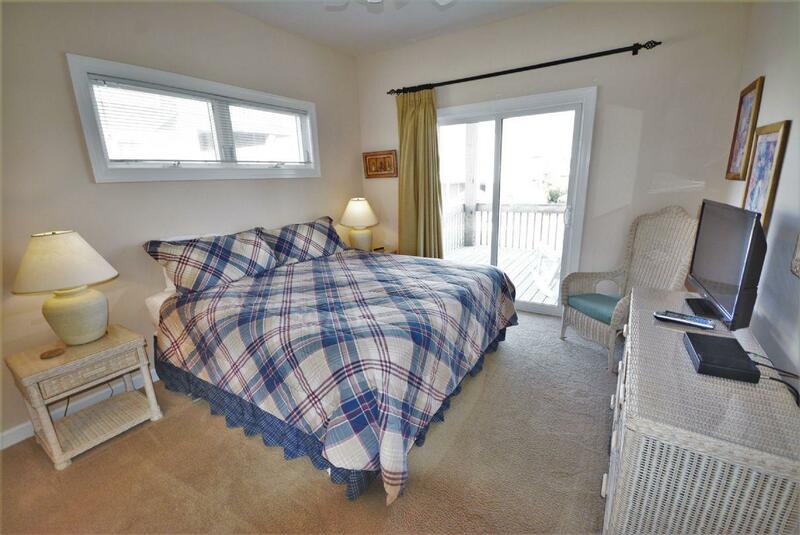 Bedroom one has a queen bed and access to the lower level ocean-view deck. Bedroom two is located behind bedroom one on the sound-side of the house. 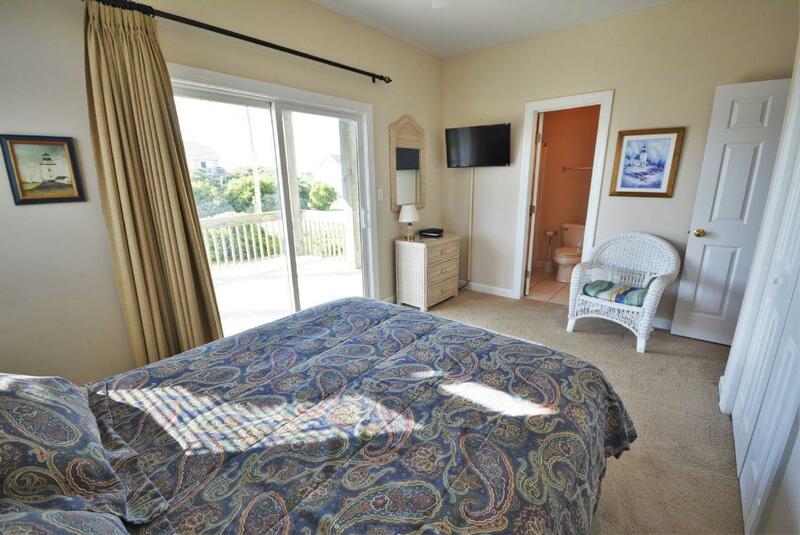 This bedroom has a queen bed, flat screen TV, a private sound-view deck with stairs to the ground level and access to the bathroom shared with bedroom 1. 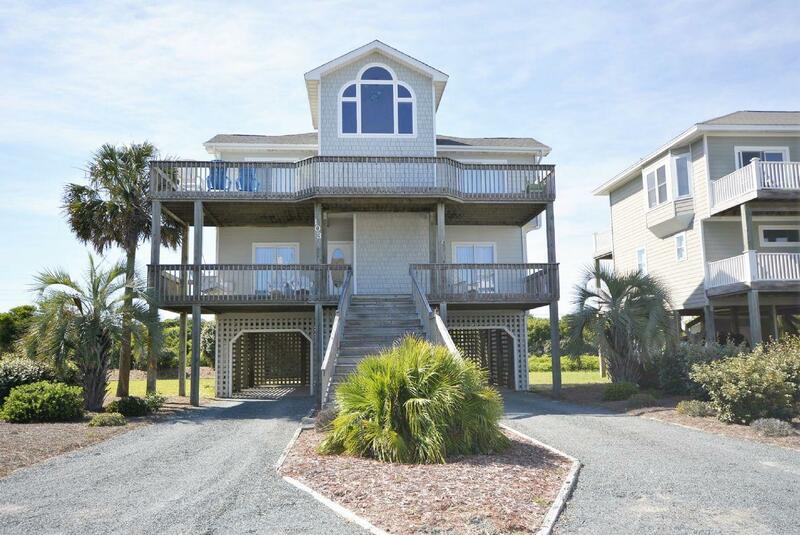 To the right of the front door is bedroom three containing a king bed, private full bathroom with double sinks, a large book library, TV and access to the front oceanside deck. 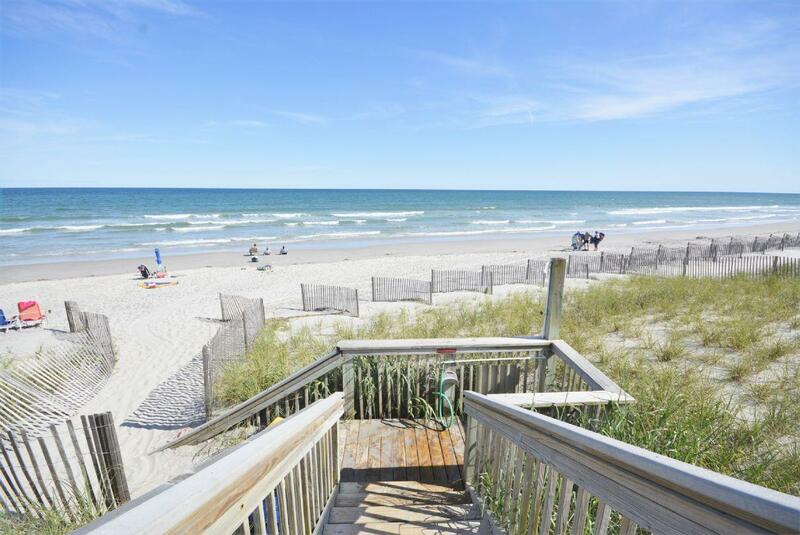 This lower oceanside deck has a swing and Adirondack chairs so you can comfortably relax while enjoying the calming ocean sounds. 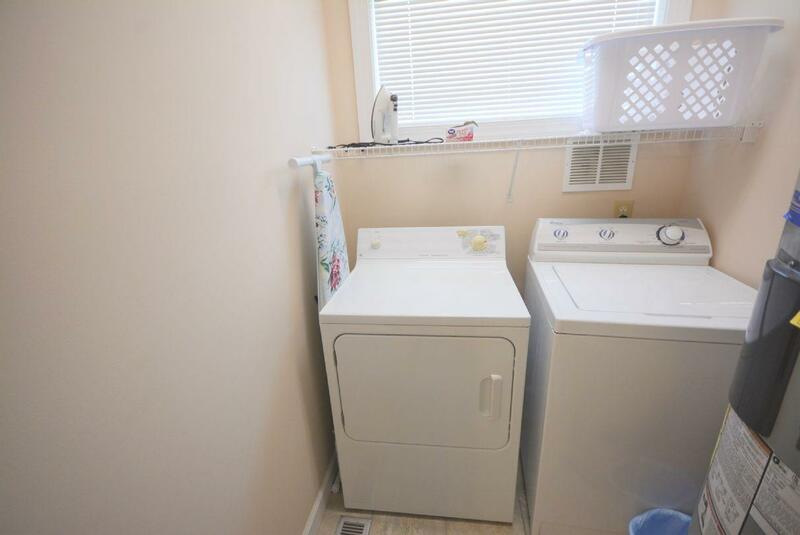 A washer and dryer are also located on this level for guest convenience. Up the stairs to the main level is the spacious living space. 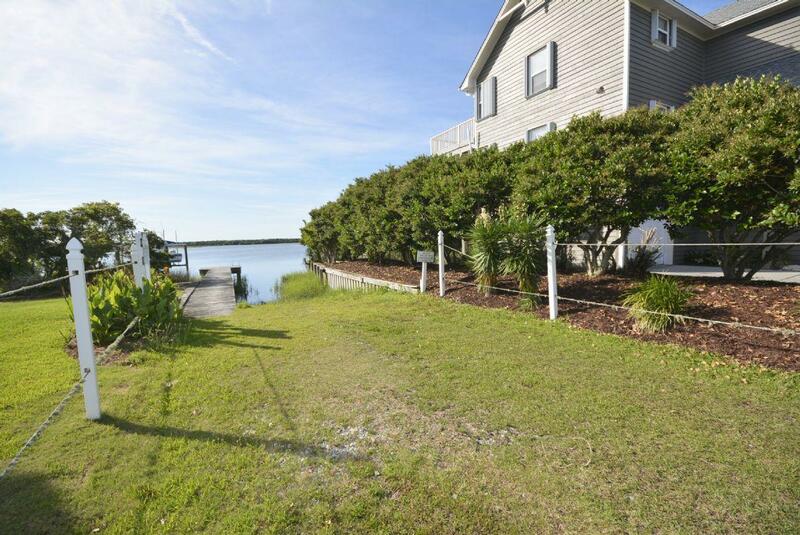 Directly in front of the stairs is a fully equipped galley-style kitchen featuring plenty of cabinet and counter space. To the left of the stairs is small desk and the dining table that seats eight. Sliding glass doors out to the open upper oceanside deck round off this fantastic space. On the sound-side of the living space lies the living room providing a leather couch, love seat and two additional arm chairs, each position facing the flat screen TV and decorative fireplace. Off the living room is another deck. 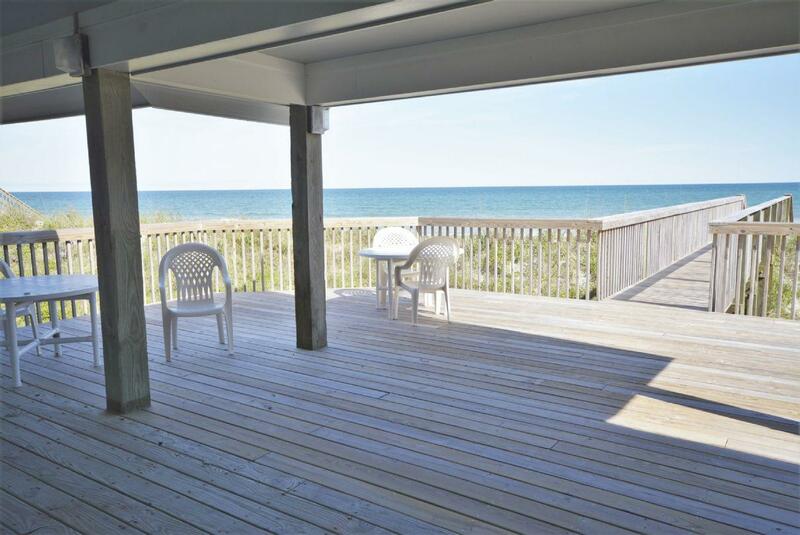 This deck is screened-in and has a table and chairs for enjoying a meal in outside comfort. A small additional set of stairs take you to a cozy seating area with a picture window. 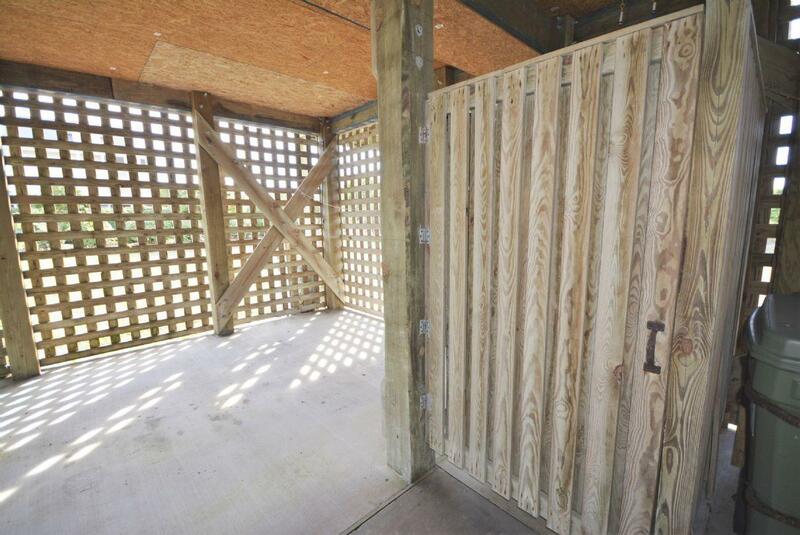 To the right of the stairs is the master bedroom. 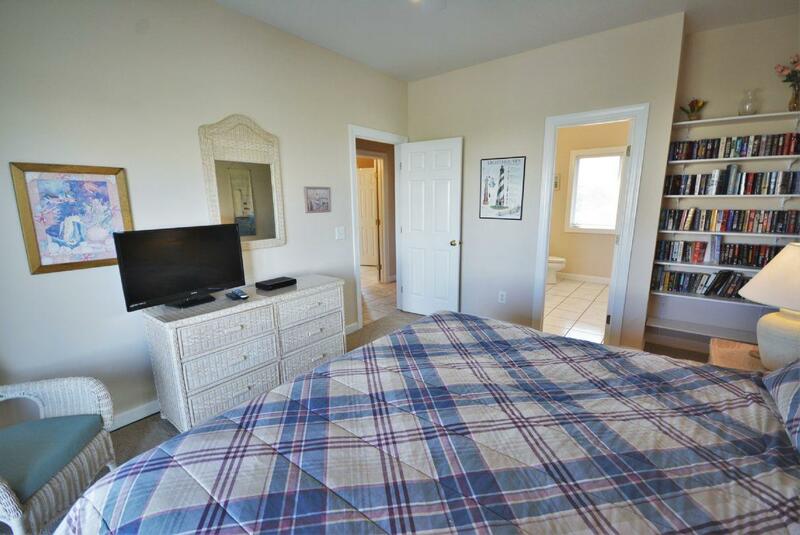 This bedroom features a king bed, deck access and a huge bathroom with a double vanity, stand up shower and garden tub. 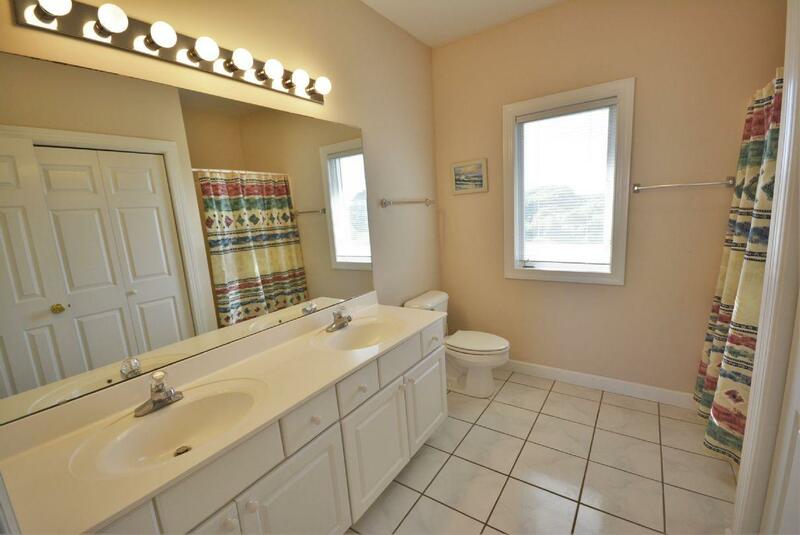 This bathroom also has access from the hallway. 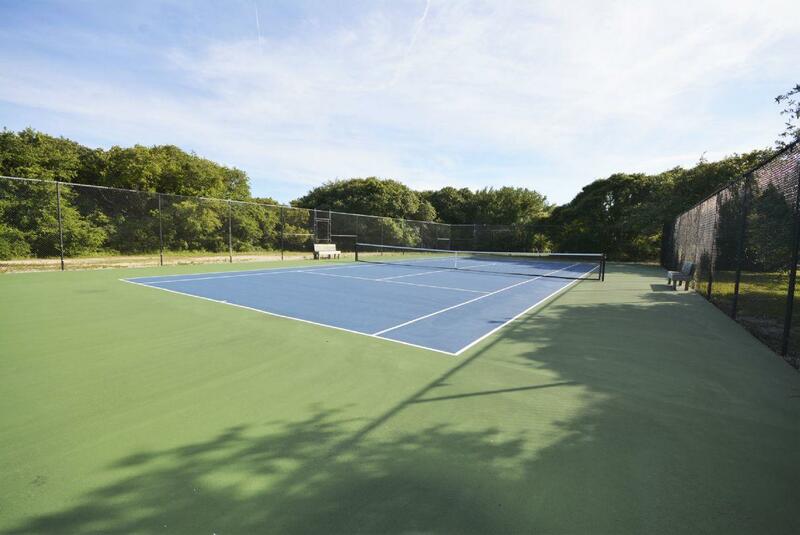 This exclusive community offers a pool, tennis court, clubhouse, beach access and a sound side dock with a small launch for canoes and kayaks. 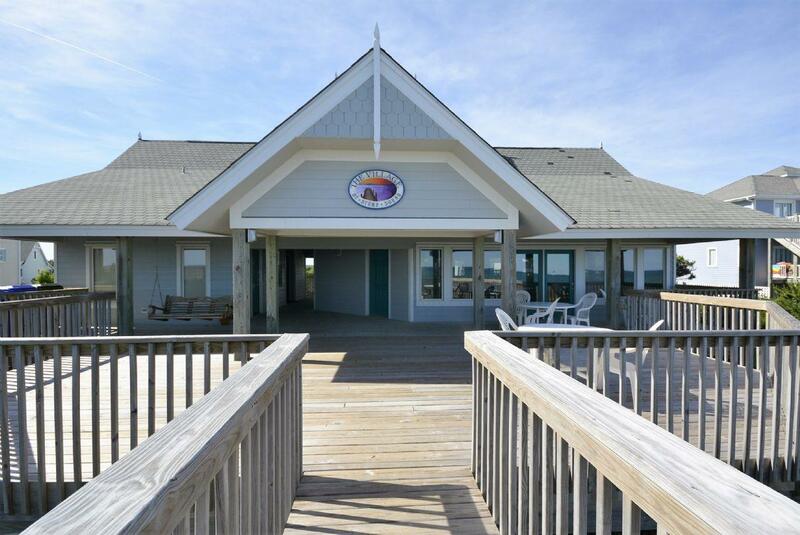 “Ocean Lookout” provides the comfort and amenities needed for that special family vacation. Community pool is open from Memorial Day to Labor Day!